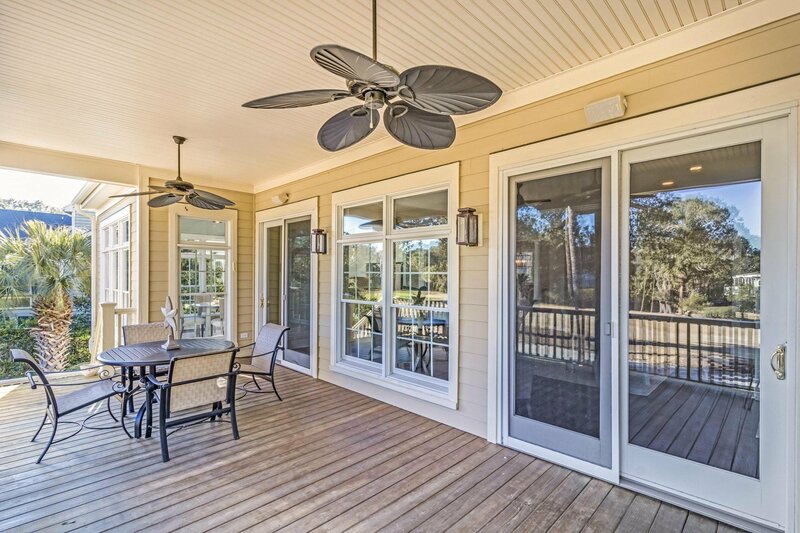 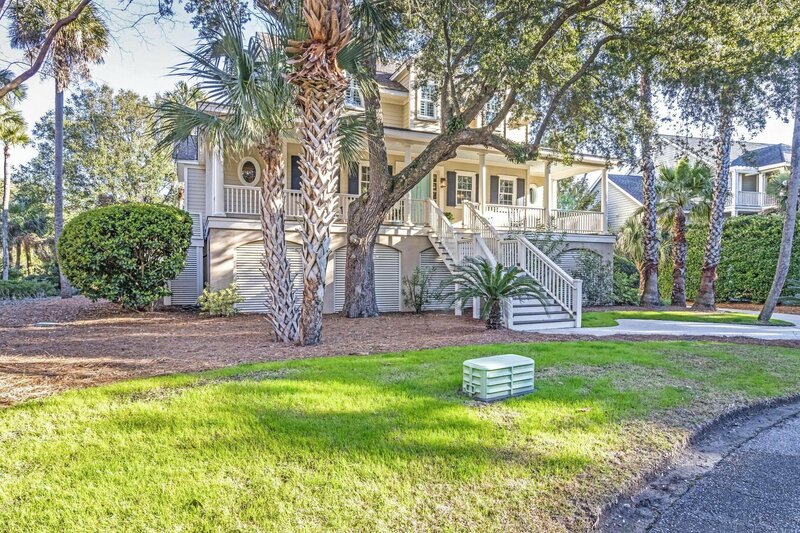 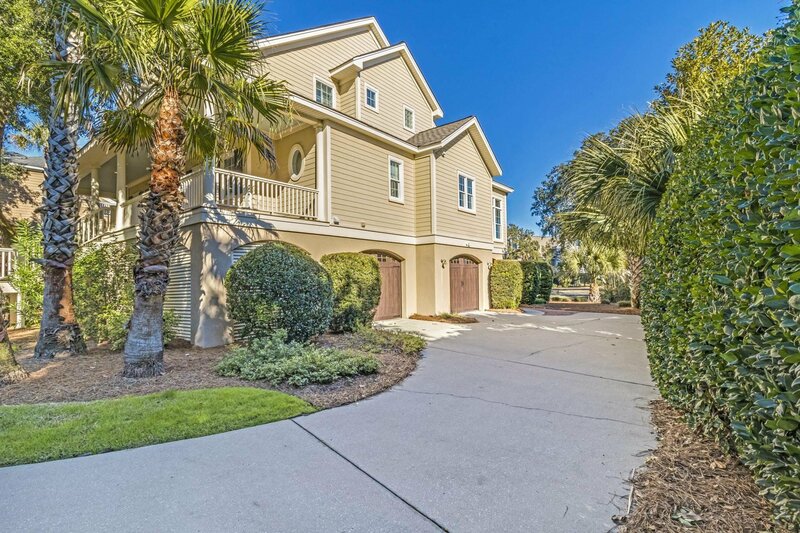 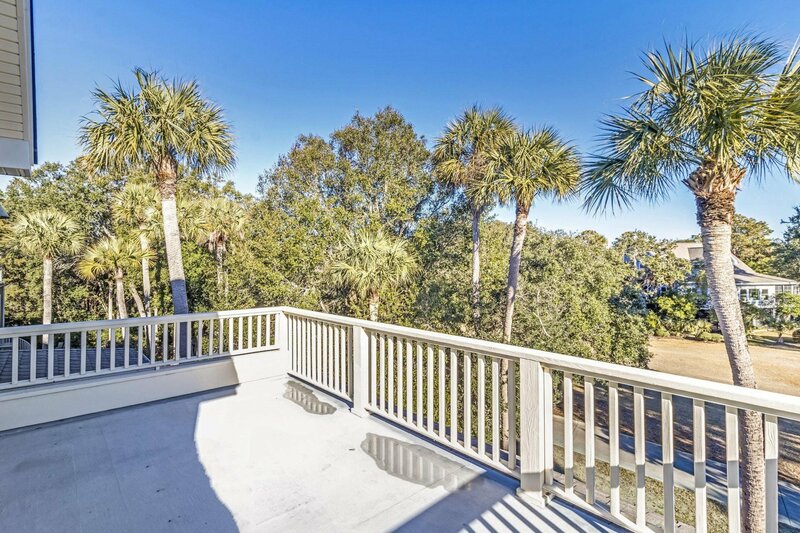 Welcome home to 11 Sandwedge Lane, a prime example of Wild Dunes Resort living at its finest. 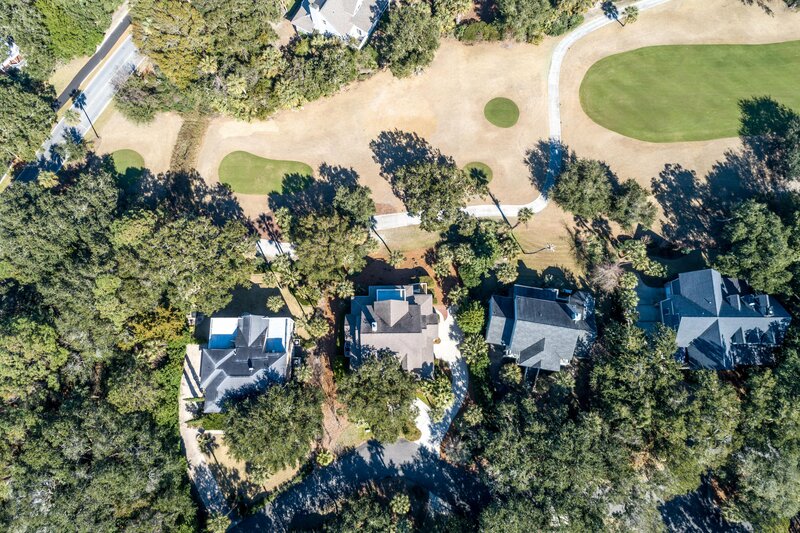 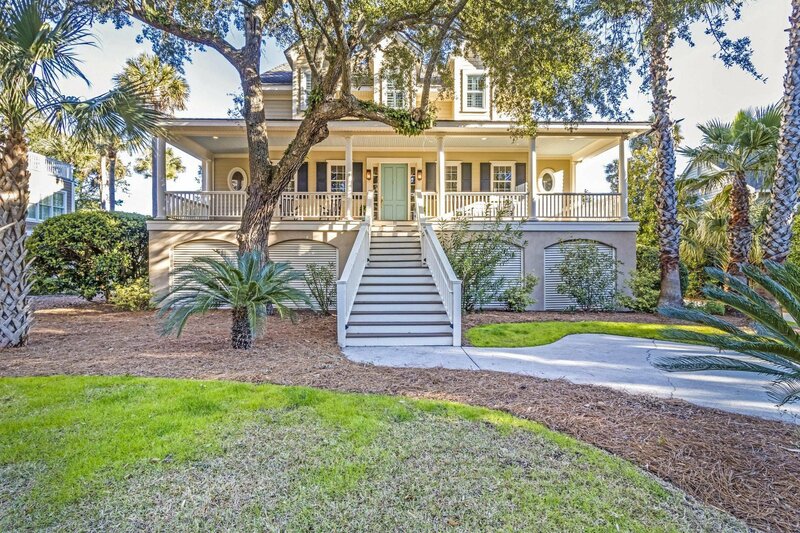 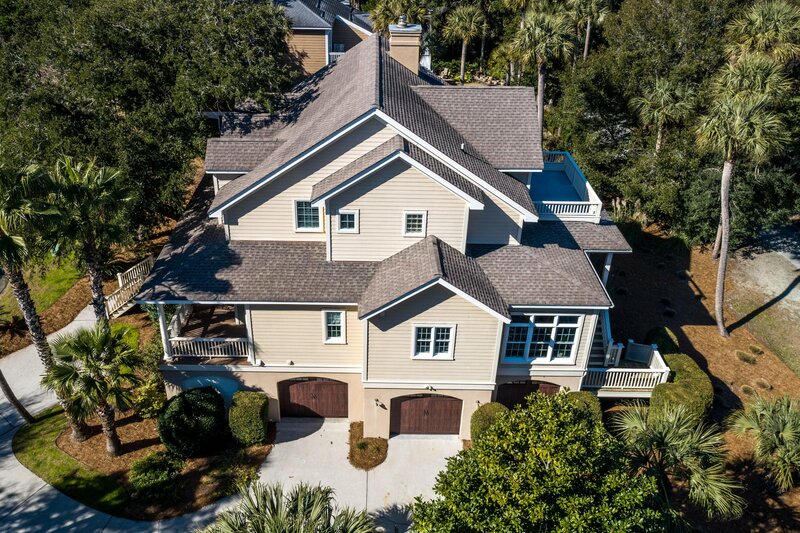 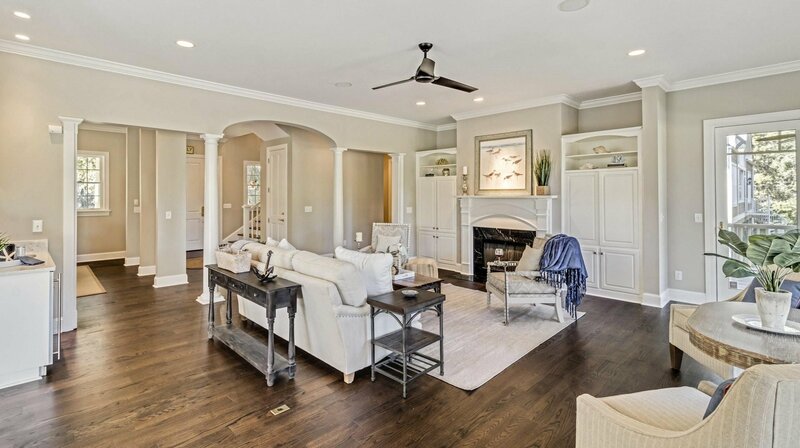 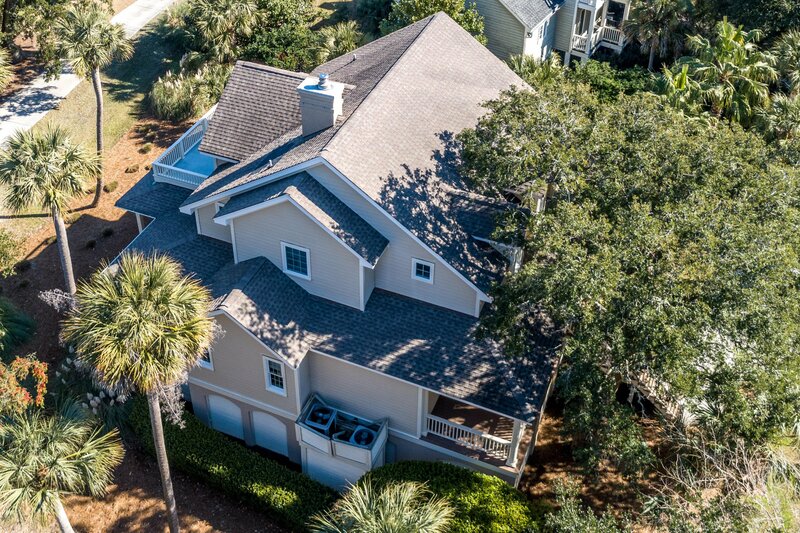 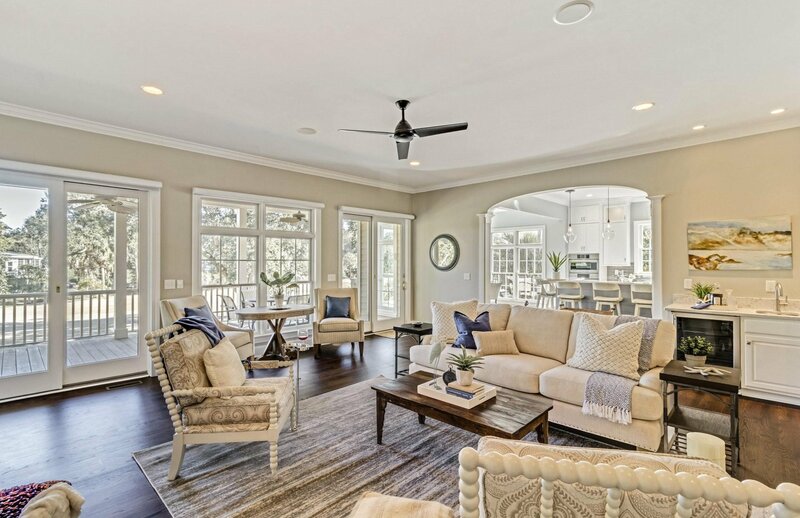 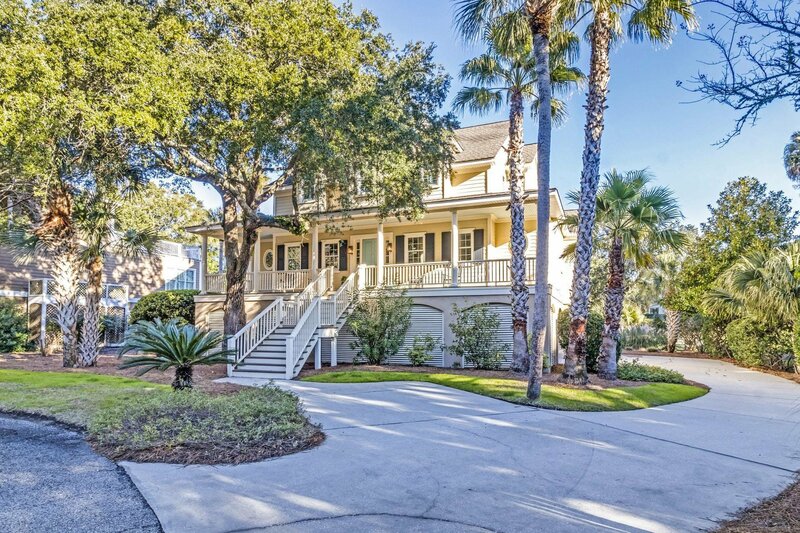 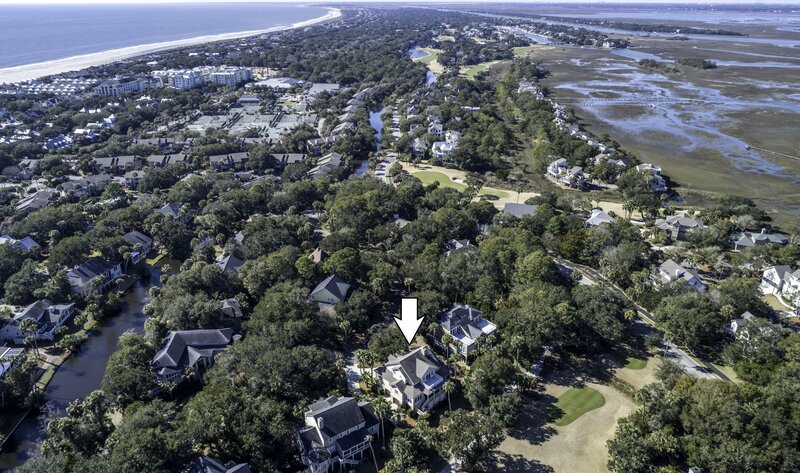 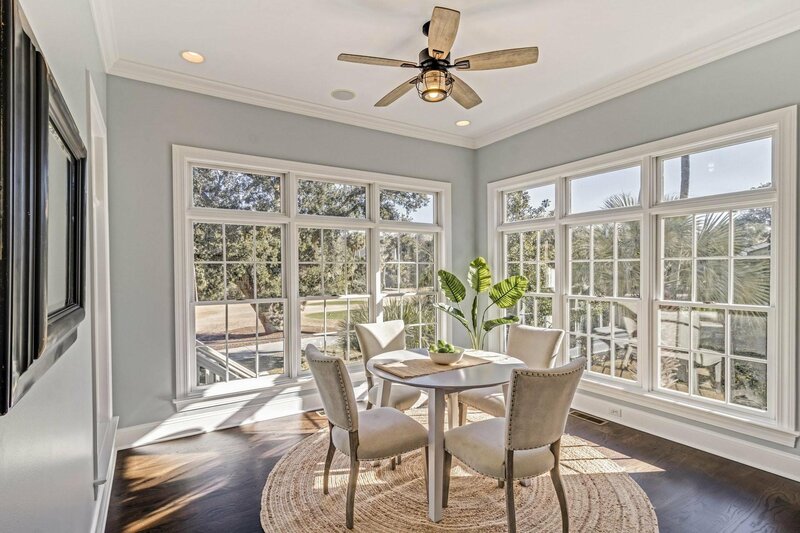 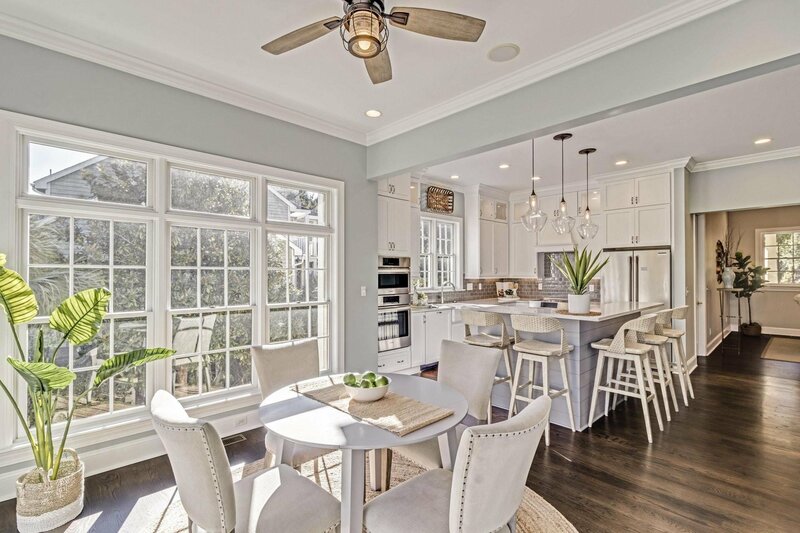 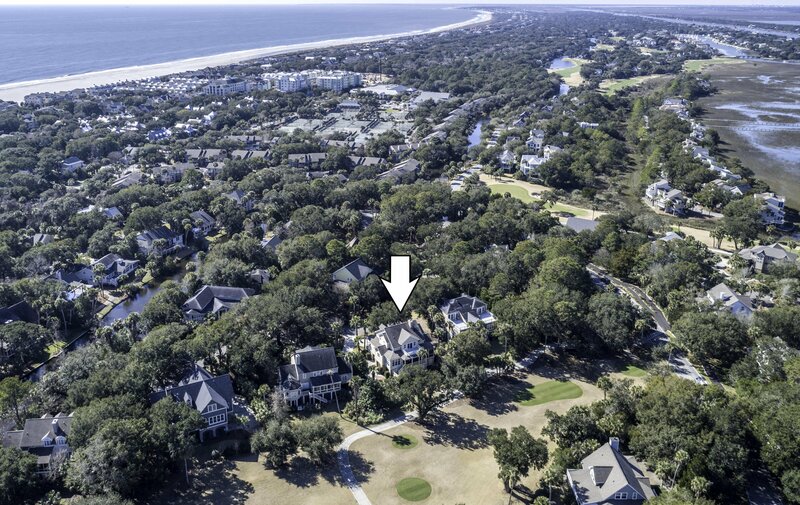 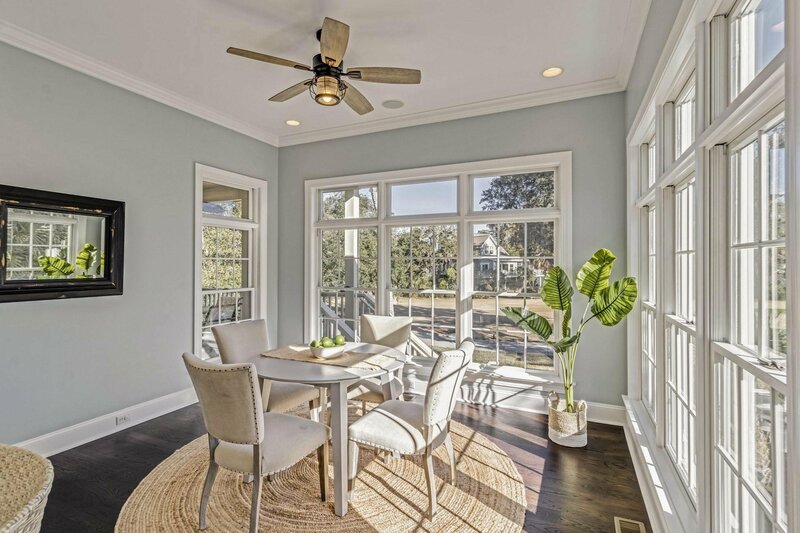 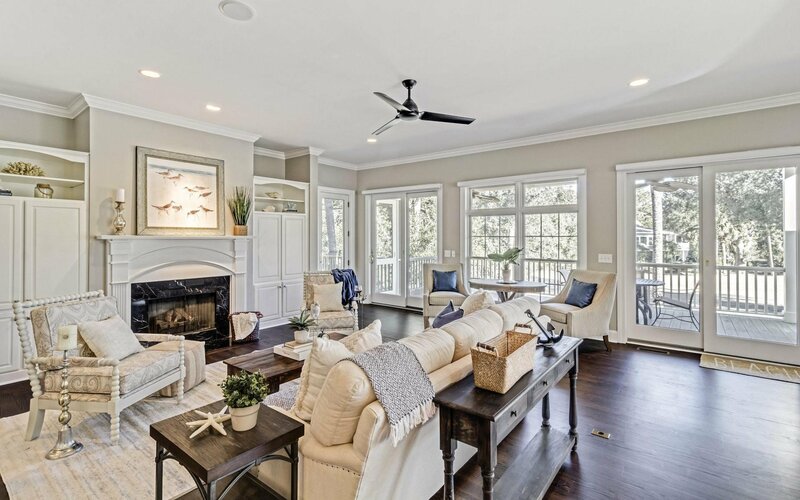 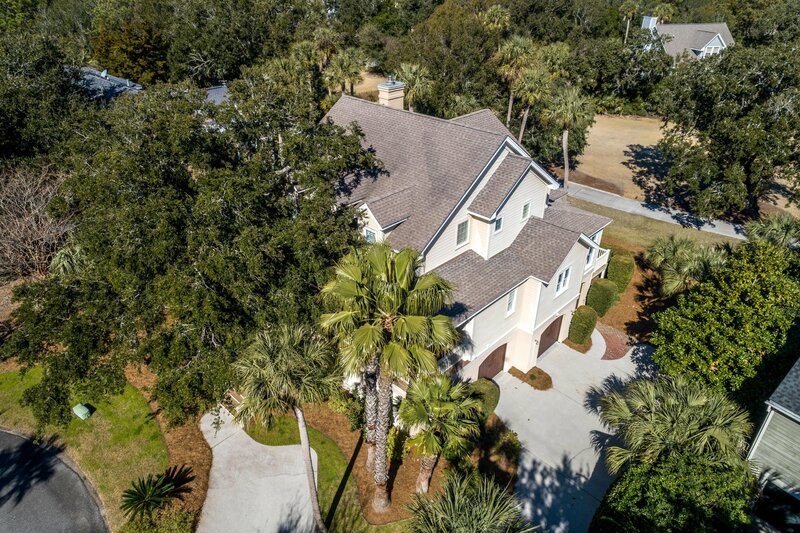 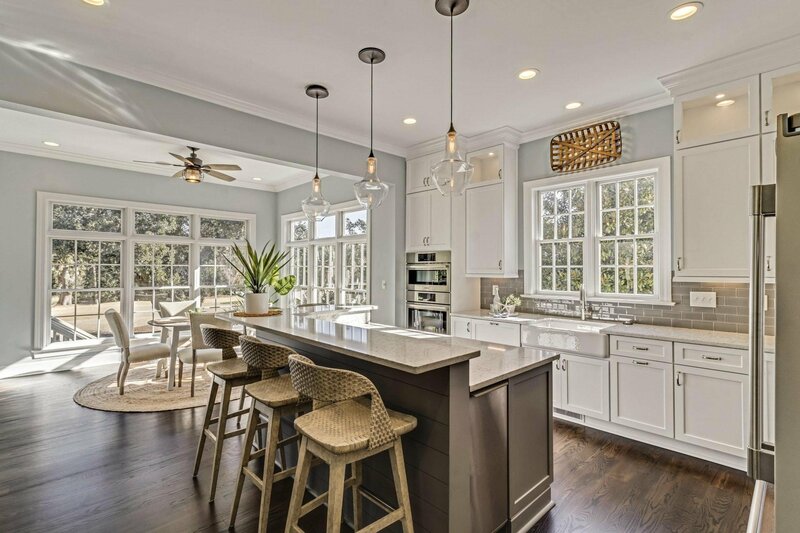 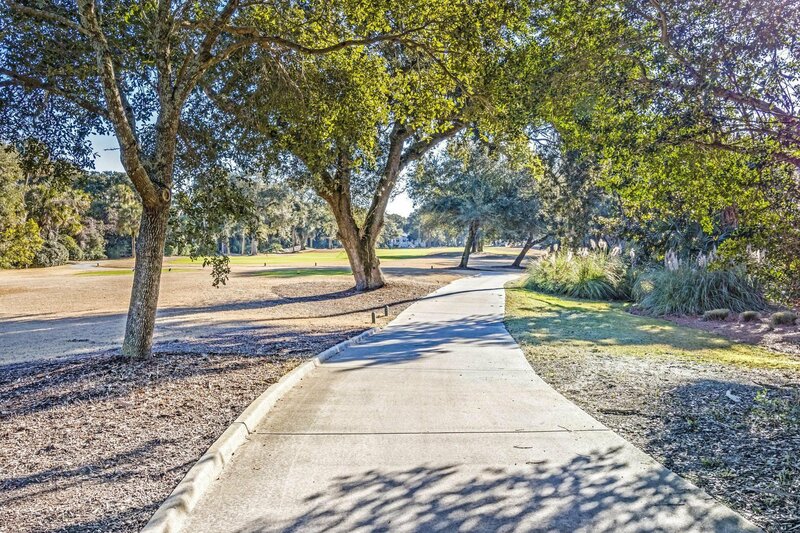 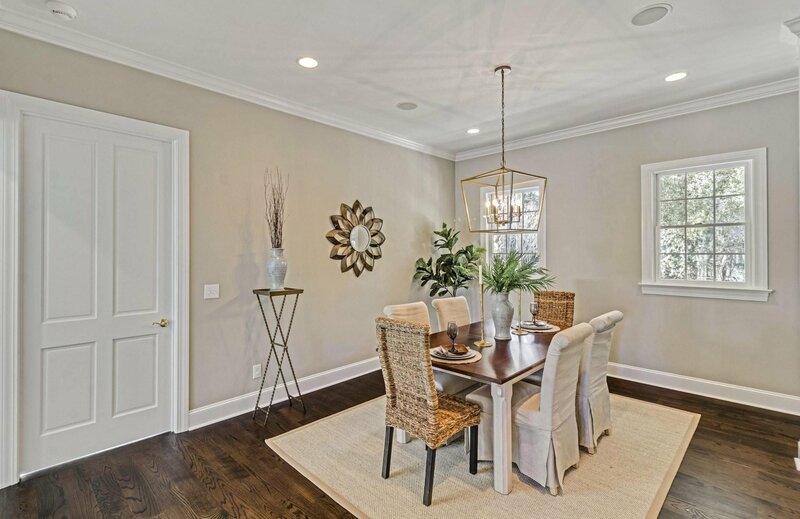 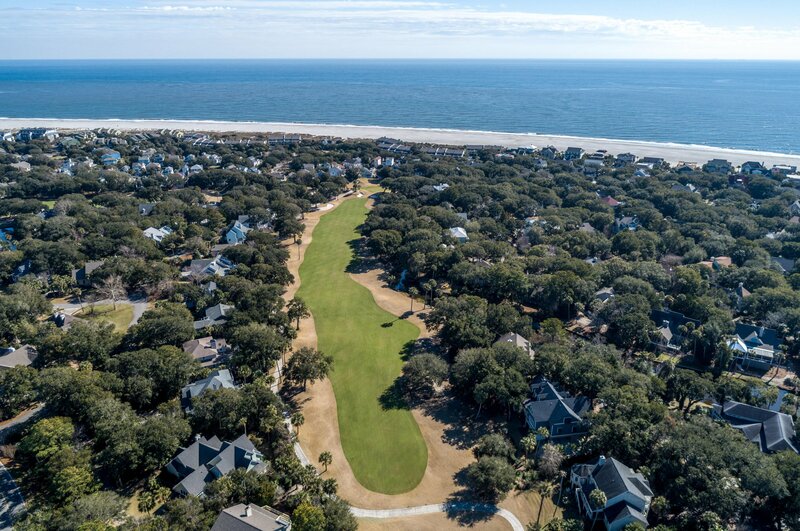 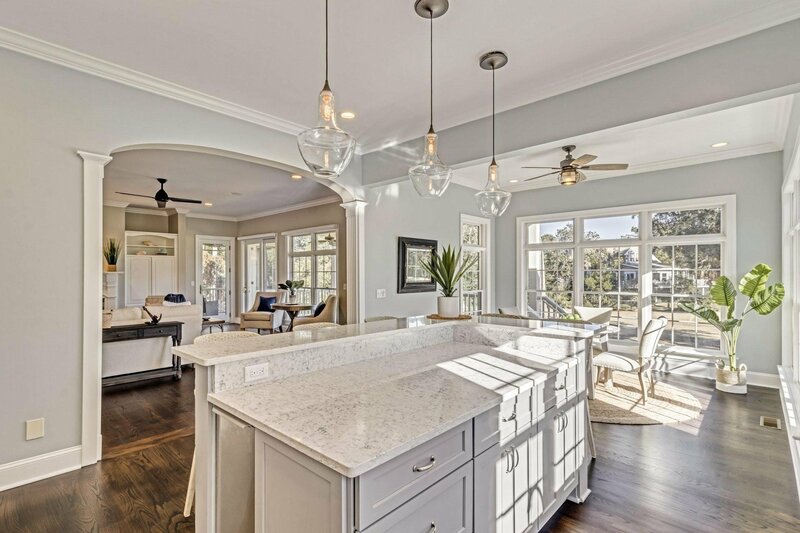 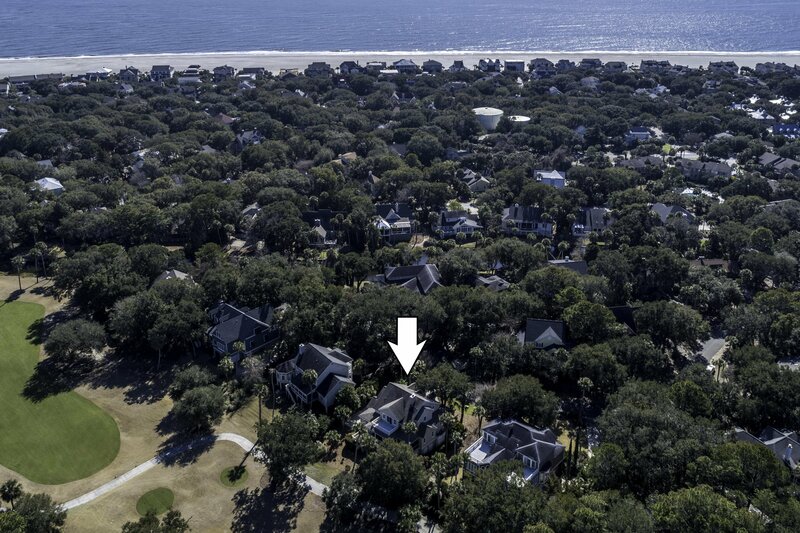 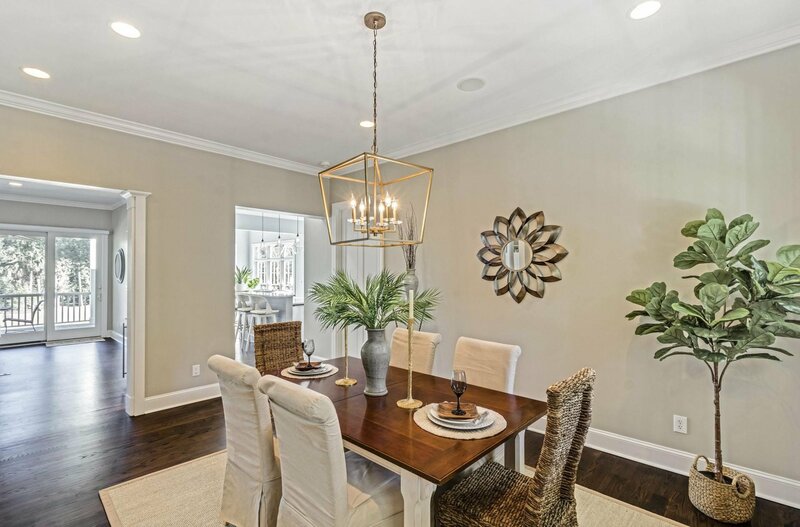 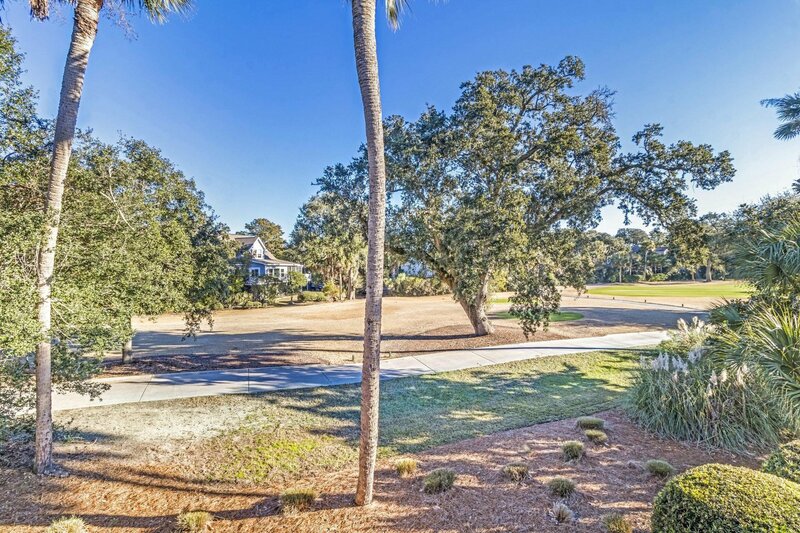 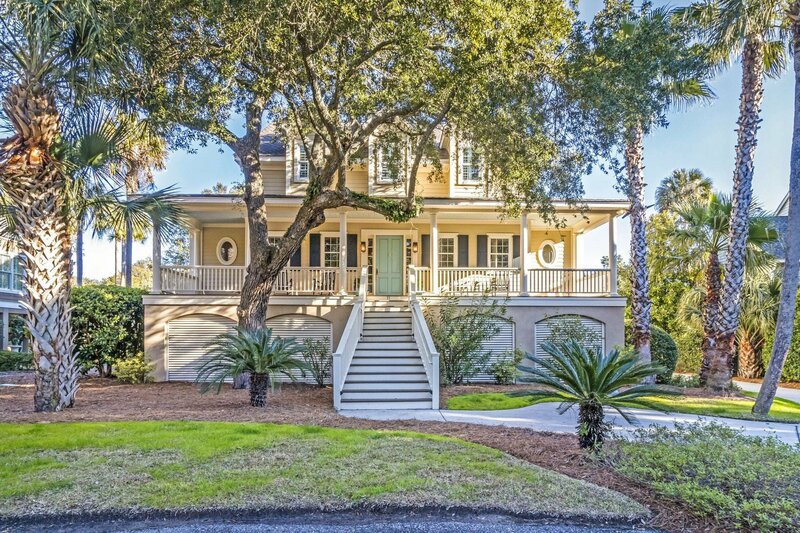 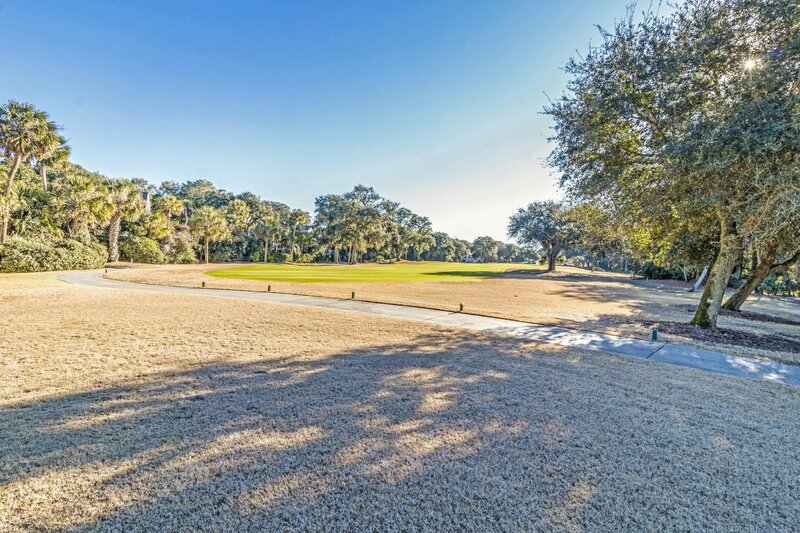 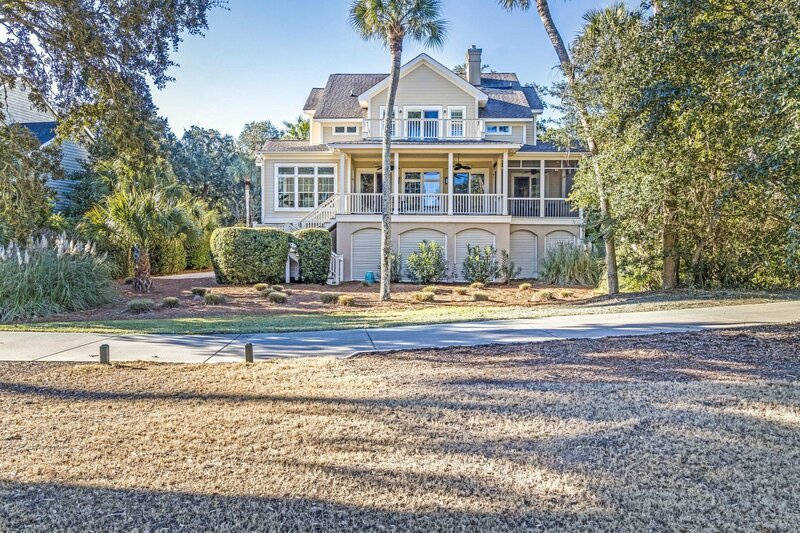 Located on the 5th hole of the Links Golf Course, this custom home was constructed in 2000 by distinguished Charleston luxury home builder, Daly & Sawyer. 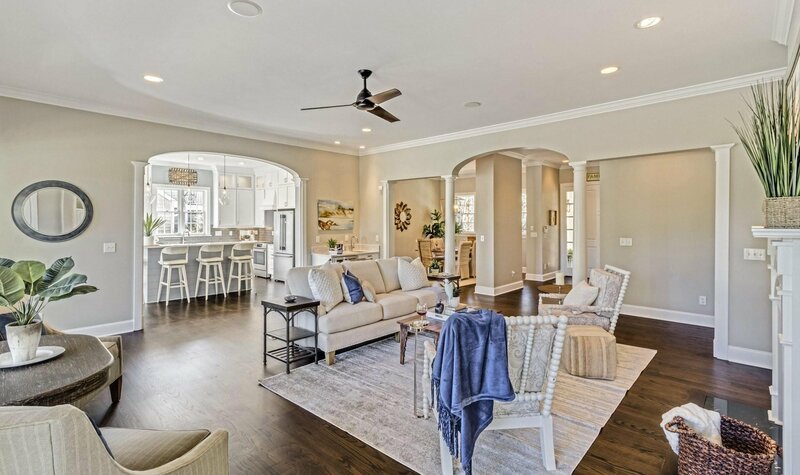 Featuring an open floor plan boasting 4 bedrooms, 4 full baths and 3660 square feet, this stunning property is perfectly located on a quiet cul de sac in the heart of the resort community. 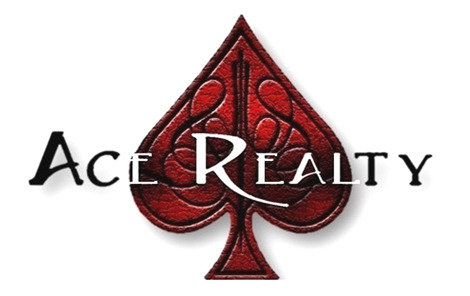 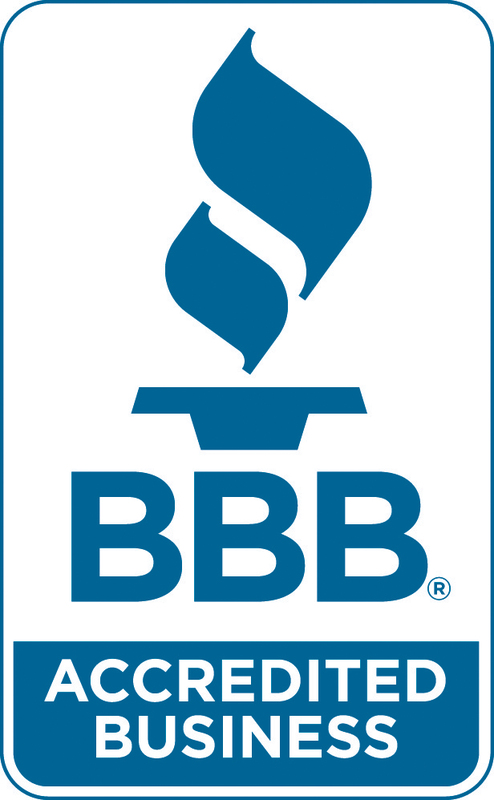 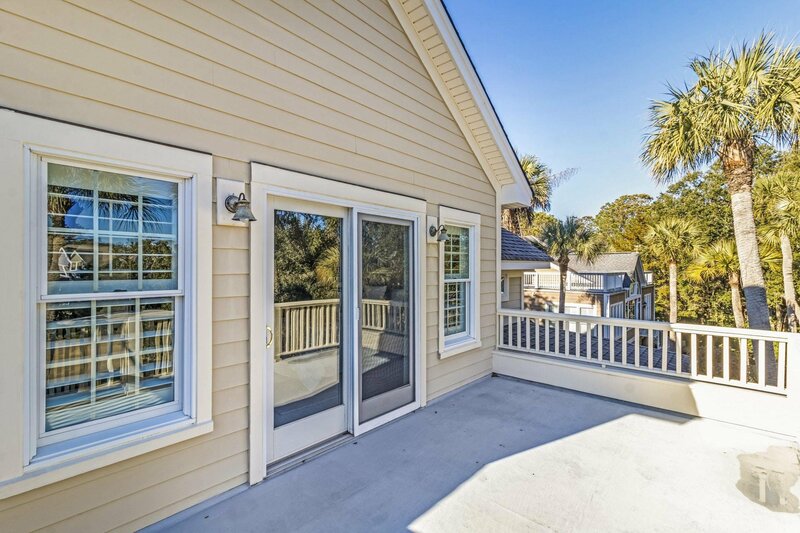 Recent renovations include a full kitchen remodel, all oak wide plank hardwood floors refinished, updates in all bathrooms, new HVAC, 3 new garage doors and fresh coastal paint colors throughout. 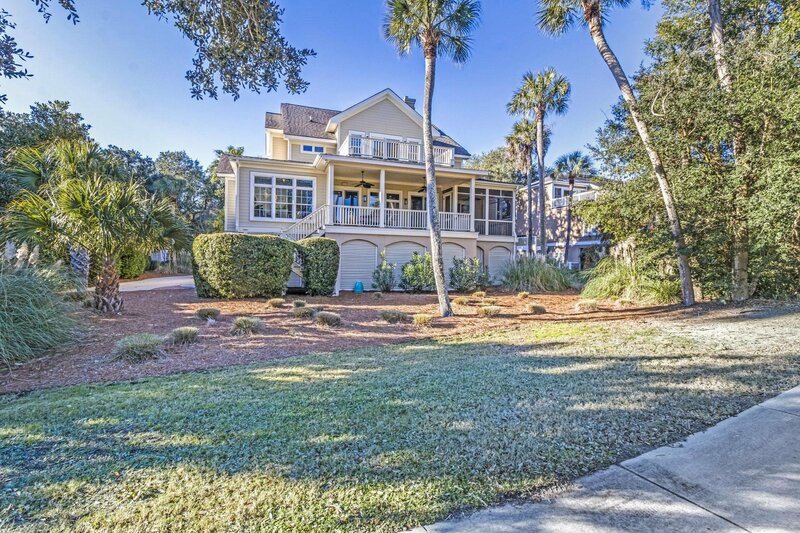 This home would make an excellent full time or part time residence, or beautiful vacation investment property. 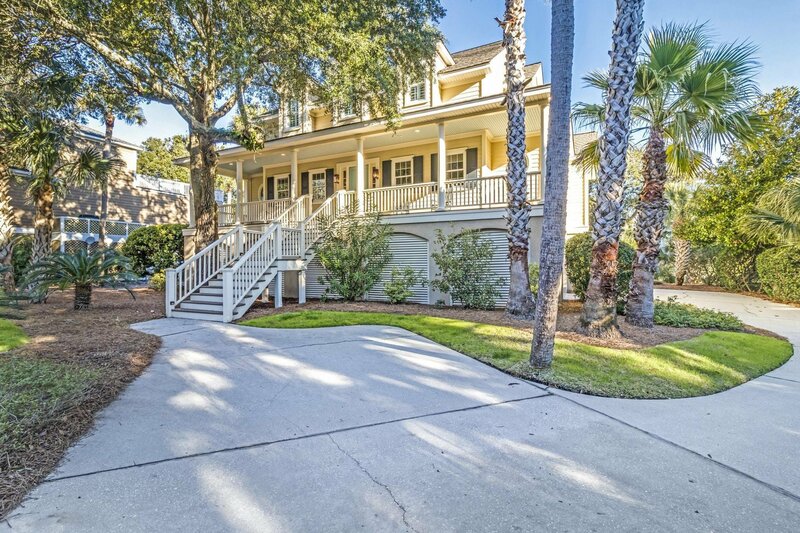 Arriving at the home you will immediately be impressed with an oversized driveway providing extra parking for guests. 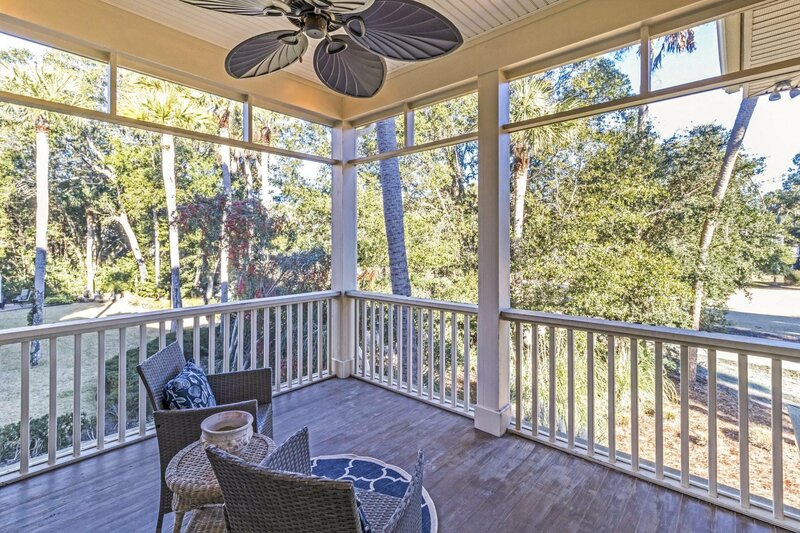 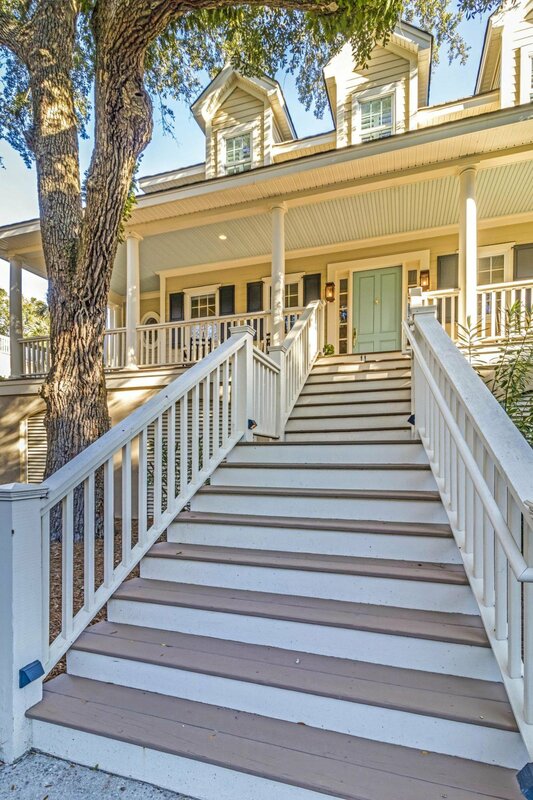 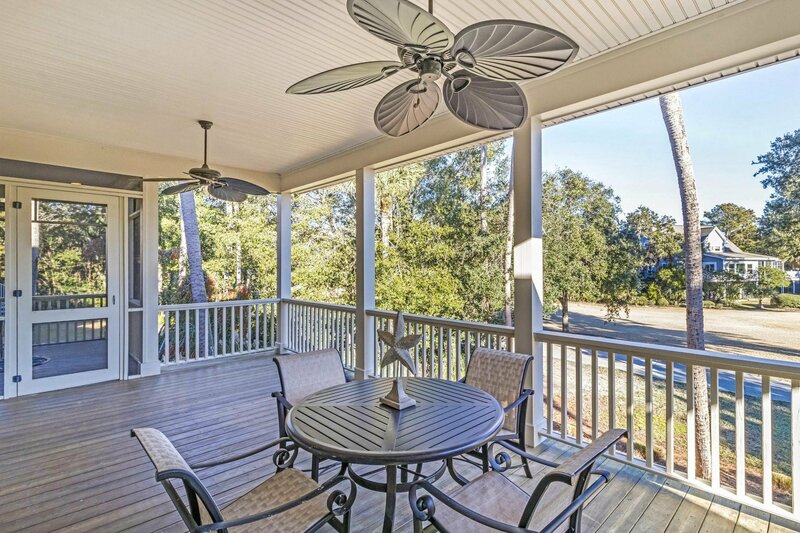 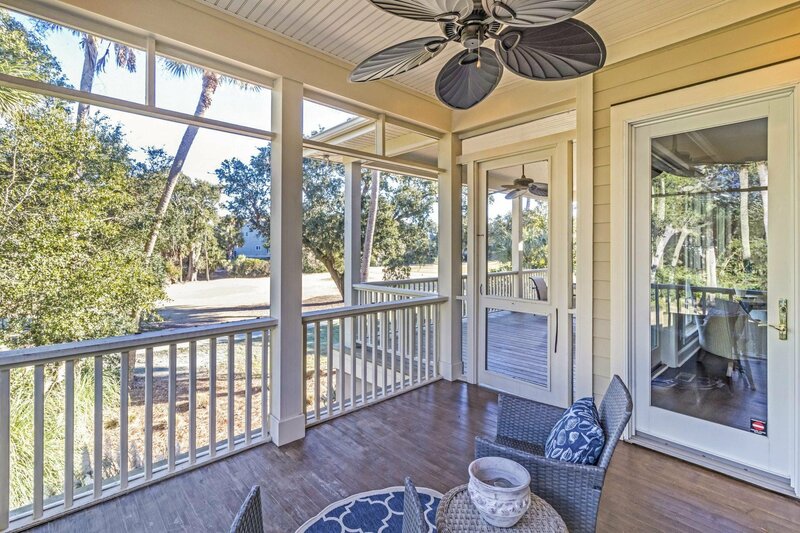 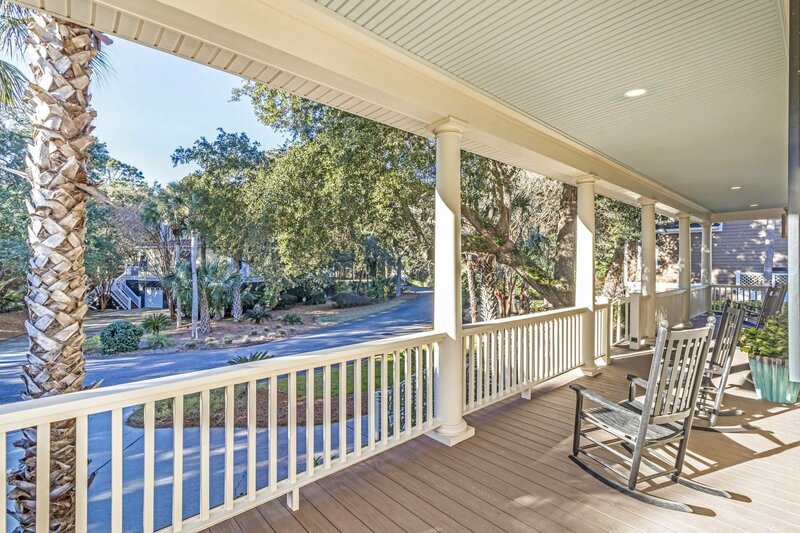 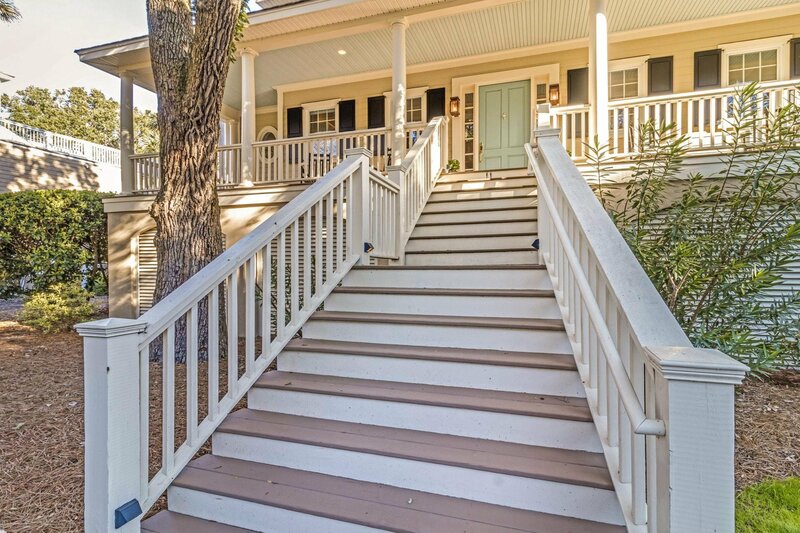 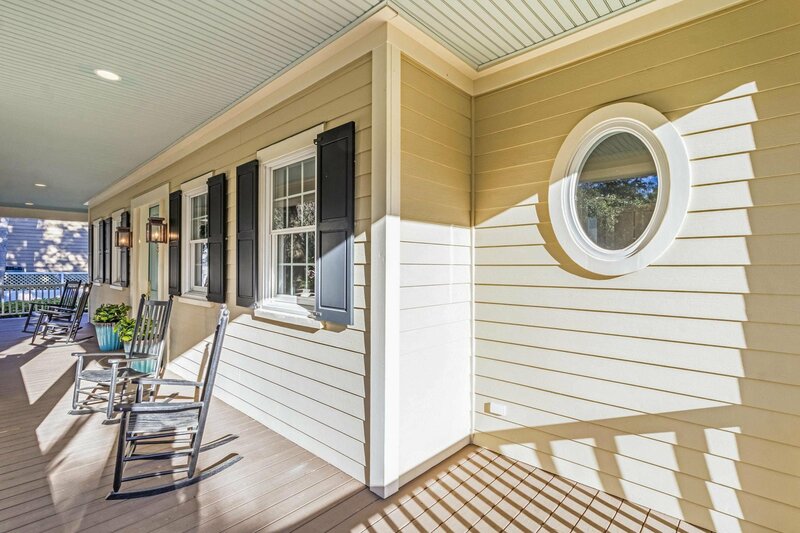 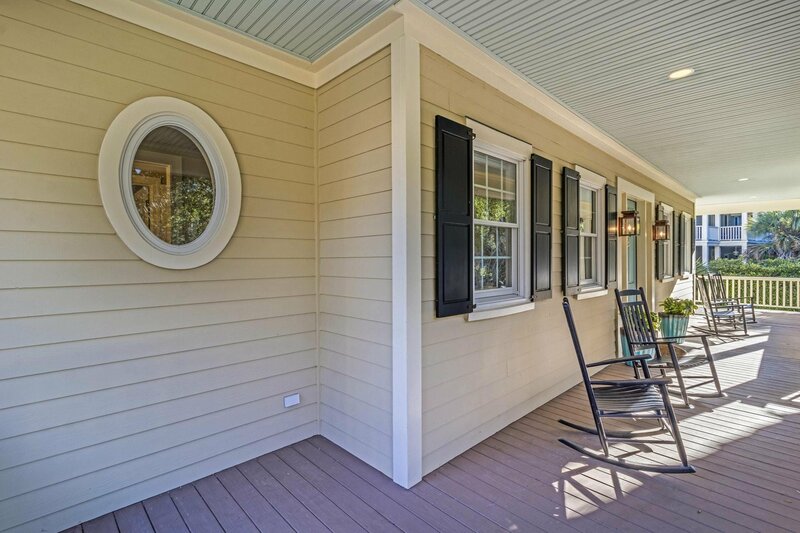 A gorgeous live oak shades a picturesque low country style front porch. 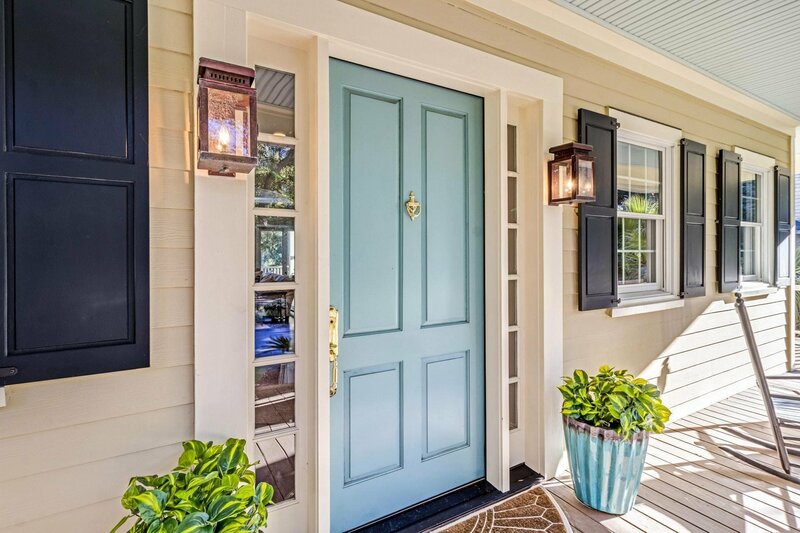 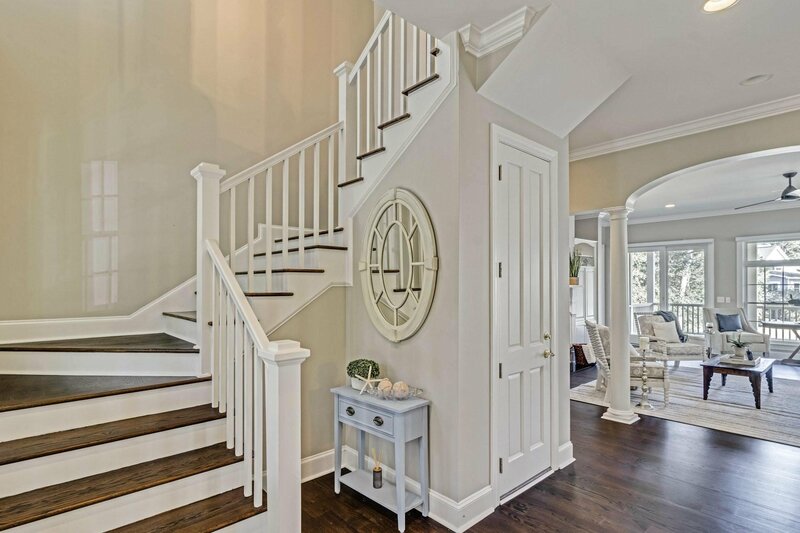 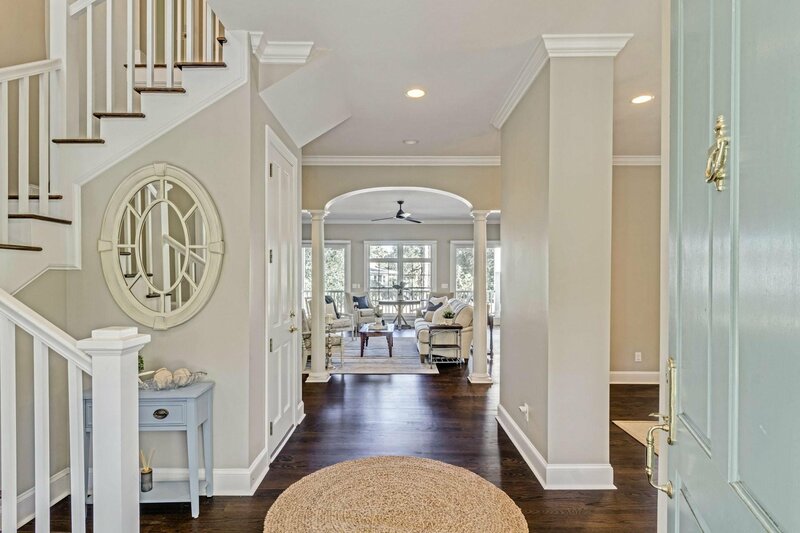 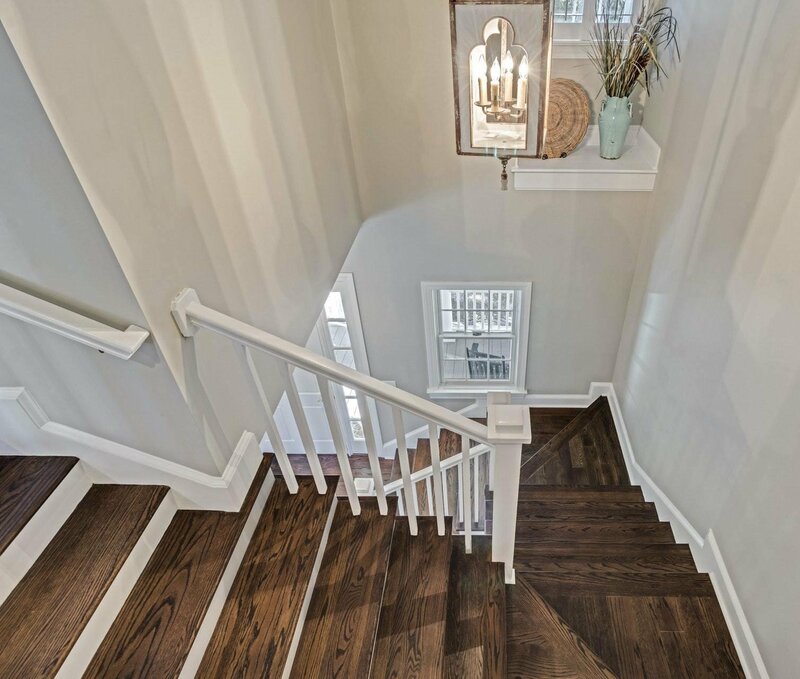 A lovely coastal front door greets you, welcoming you into the grand foyer. 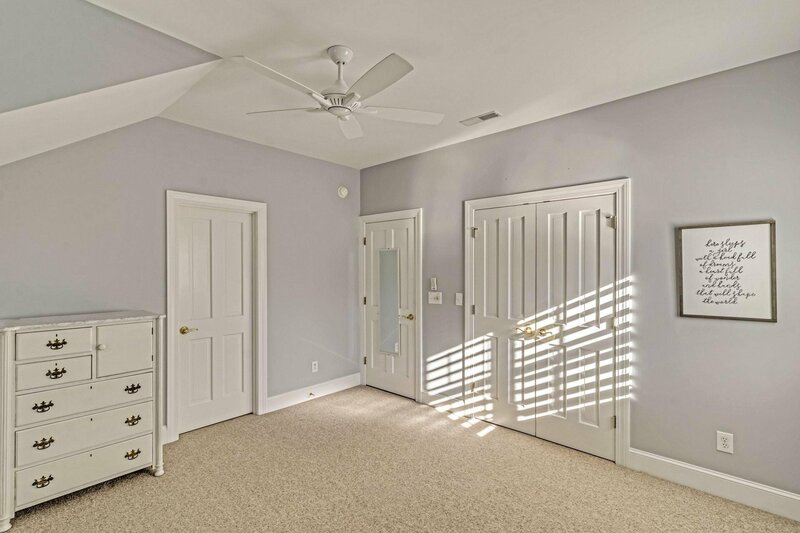 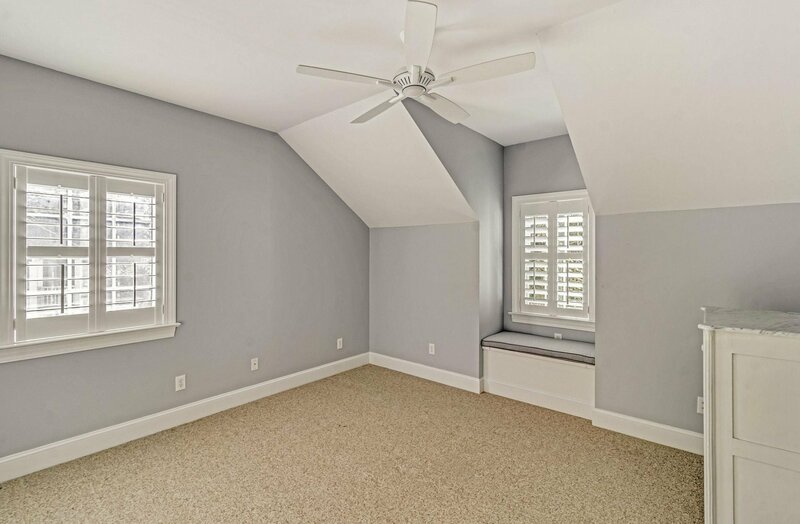 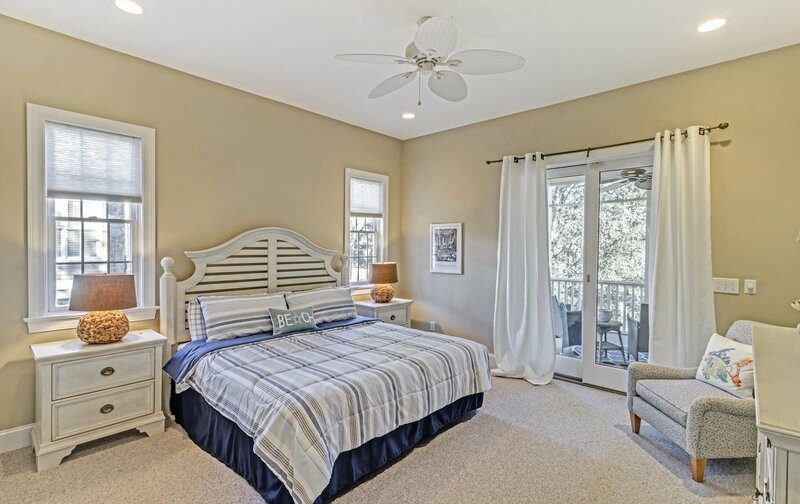 You will appreciate 10 foot ceilings and wonderful flow of the open floor plan. 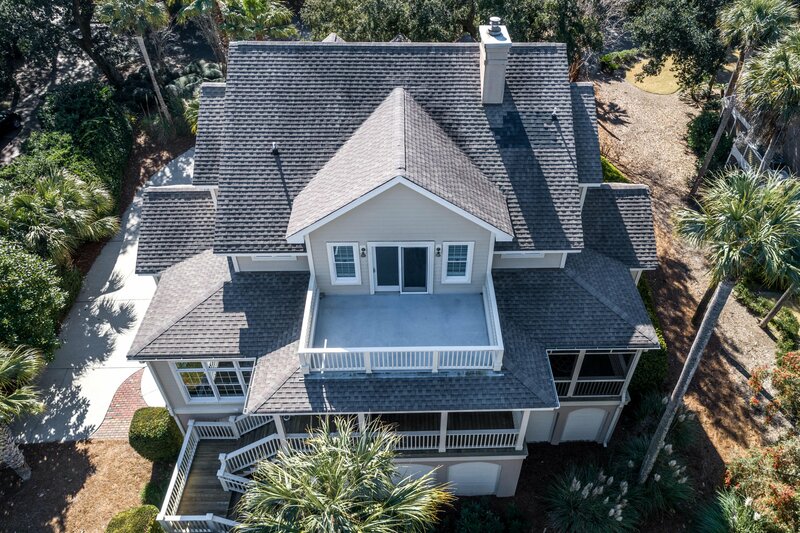 The main floor includes a large living room including gas fireplace, separate dining room, wet bar with wine fridge, fully renovated kitchen, breakfast room, domestic headquarters including office and laundry room, guest room with full downstairs bath, and a secondary small office / storage room. 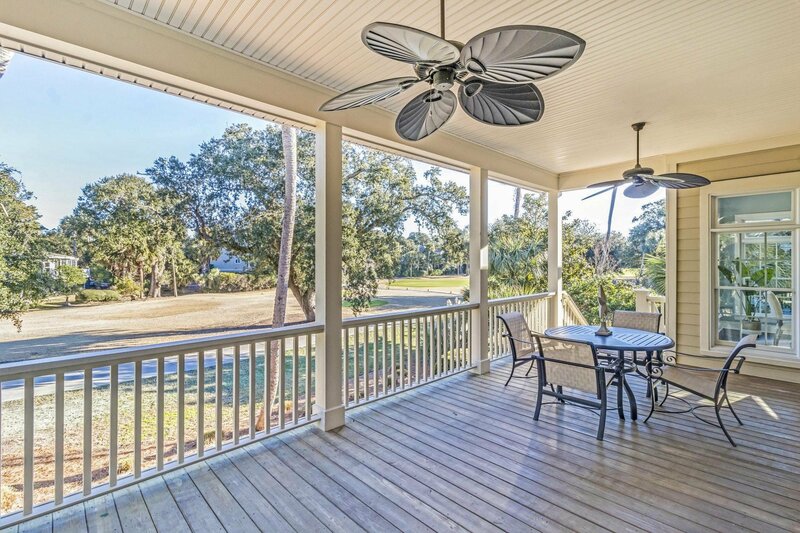 The main floor also features a huge back porch and screened porch overlooking the golf course. 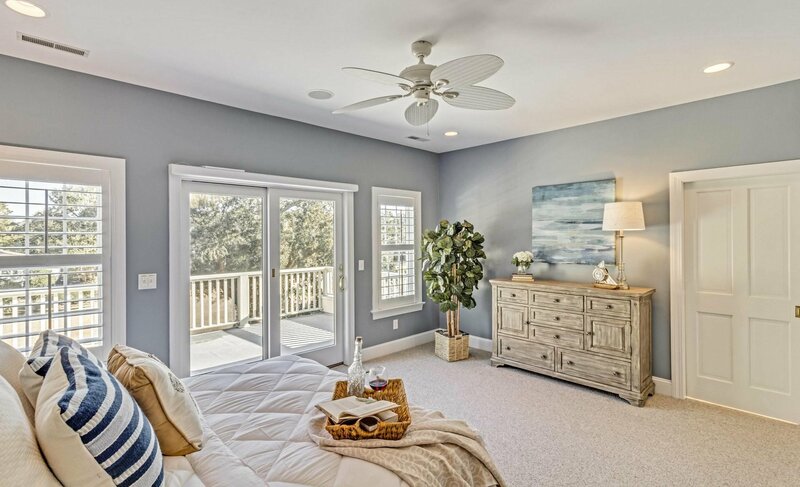 You will love the convenience of thoughtful features like central vac and surround sound speakers. 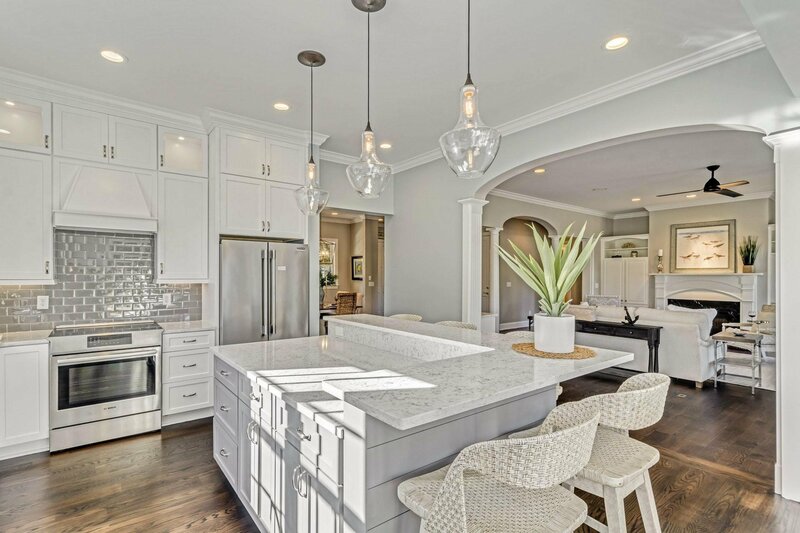 Enjoy a brand new kitchen remodel including all new custom cabinetry with soft close drawers, new Bosch appliances, double ovens, a warming drawer, convection microwave, induction stove, ice maker, Frigidaire refrigerator, beautiful quartz countertops and a large center kitchen island with seating. 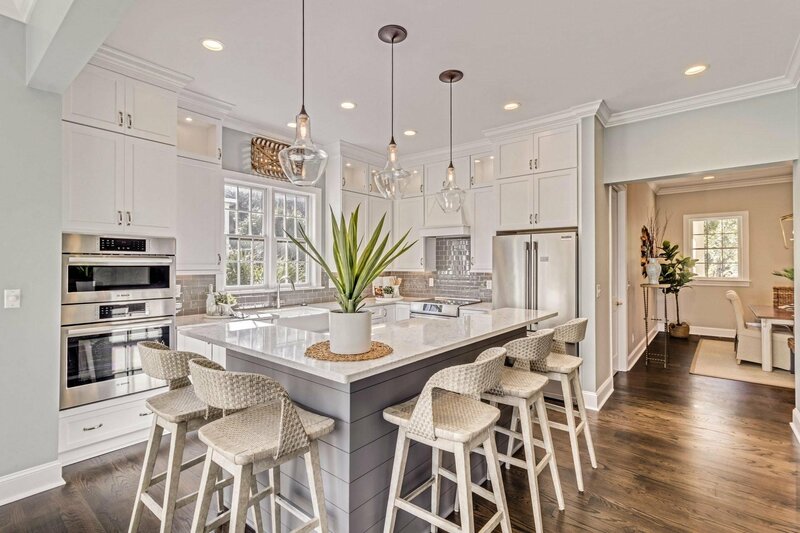 Delight in current coastal trends including shiplap accents and fresh subway tiles. 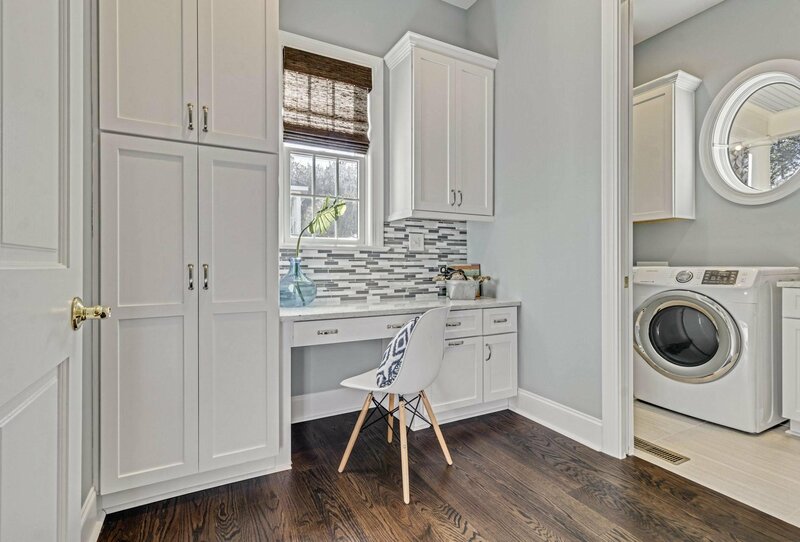 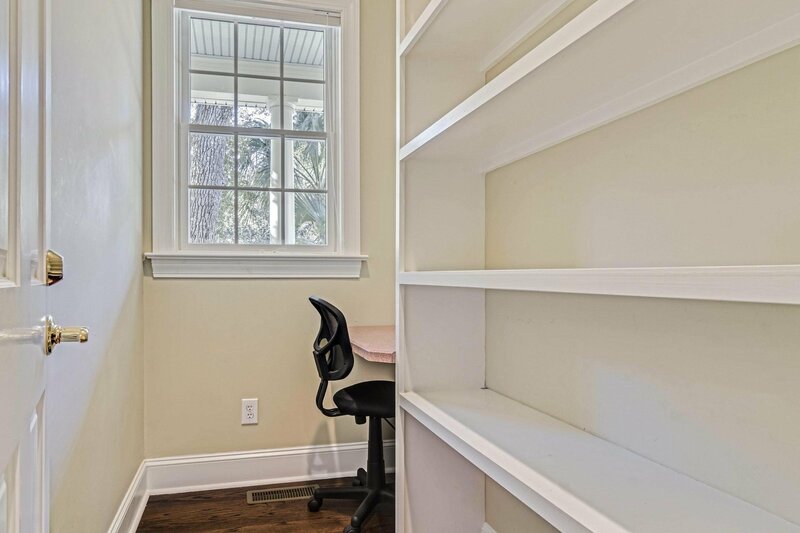 New cabinetry, backsplash and countertop extends into the separate domestic headquarters space featuring a built in desk and tons of office or pantry storage. 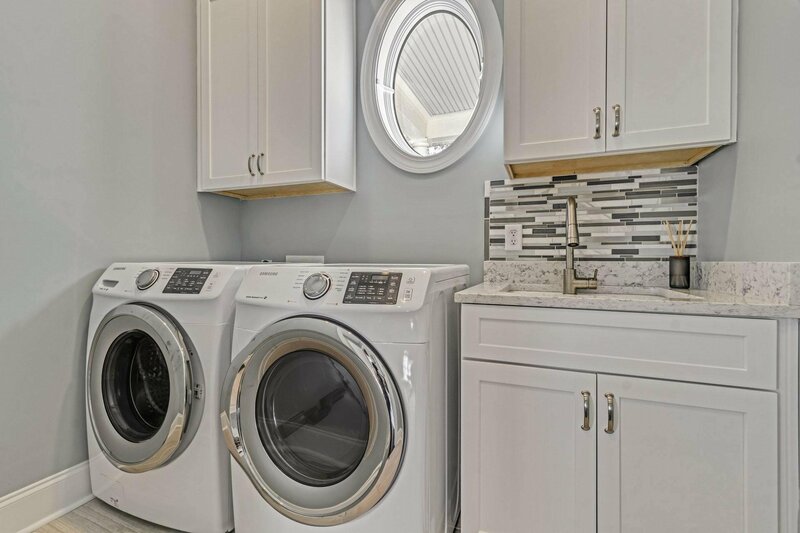 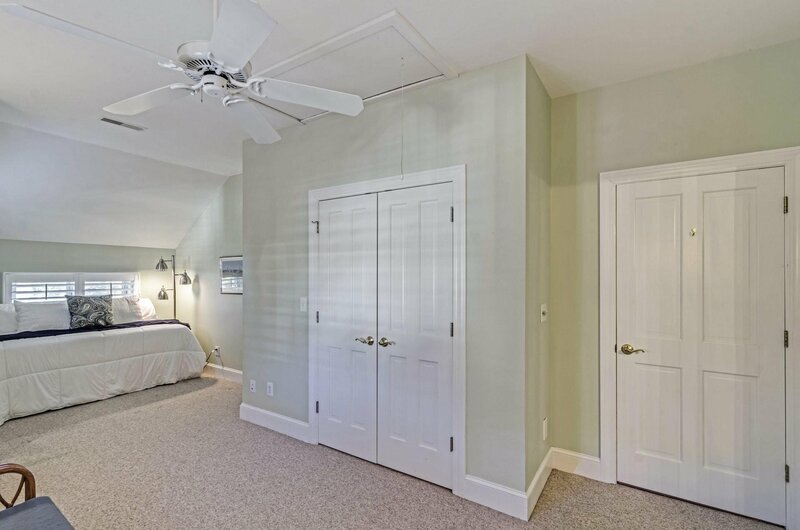 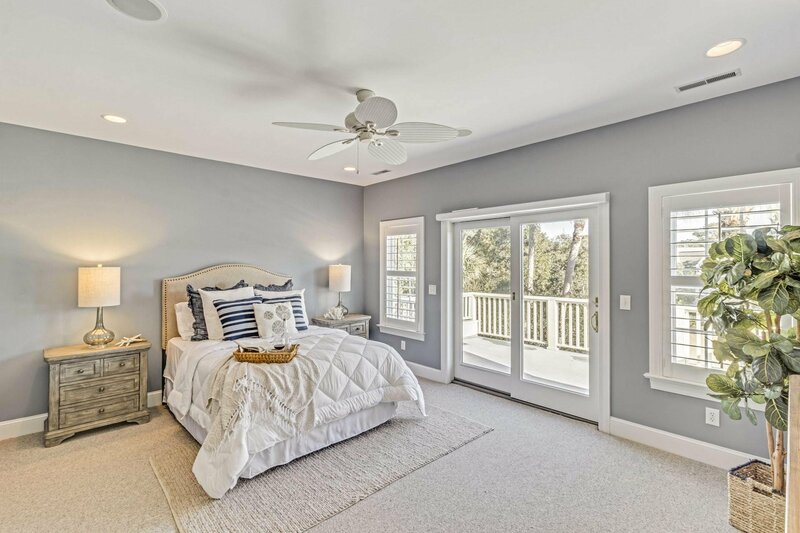 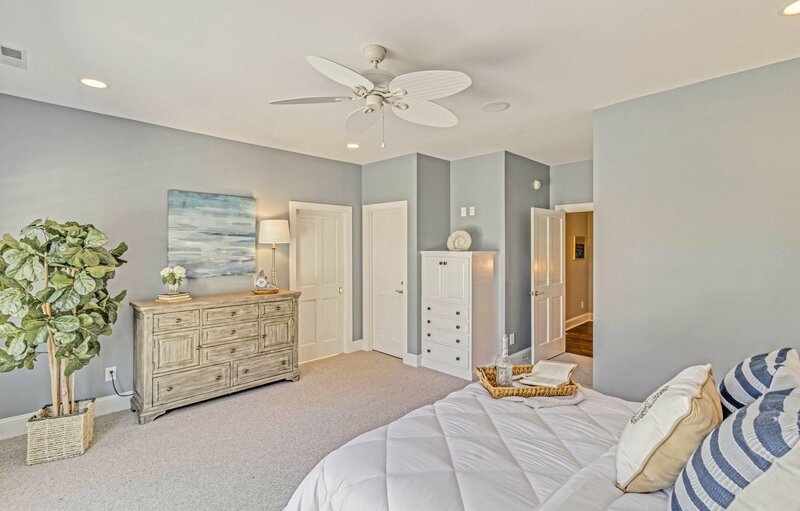 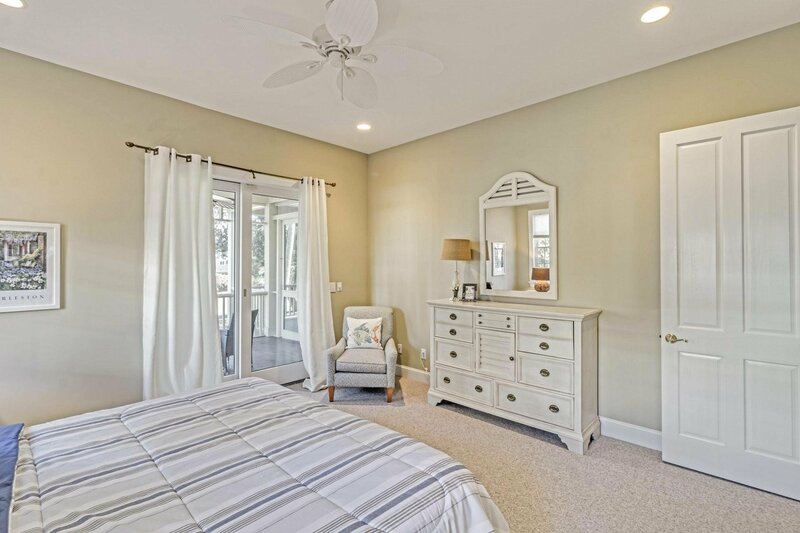 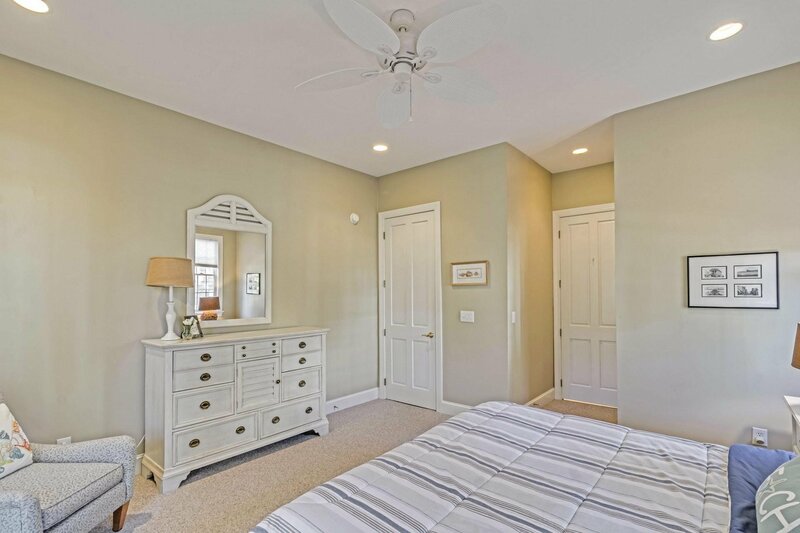 The second floor includes the master bedroom complimented with dual walk in closets, en suite master bath, and bedrooms 2 & 3 both also with en suite baths. 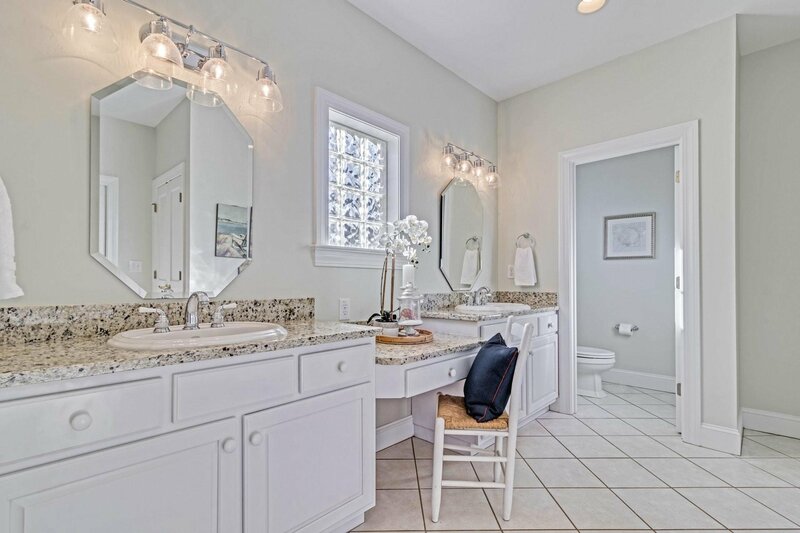 All bathrooms have been updated to include new tile floors, granite countertops, and new fixtures. 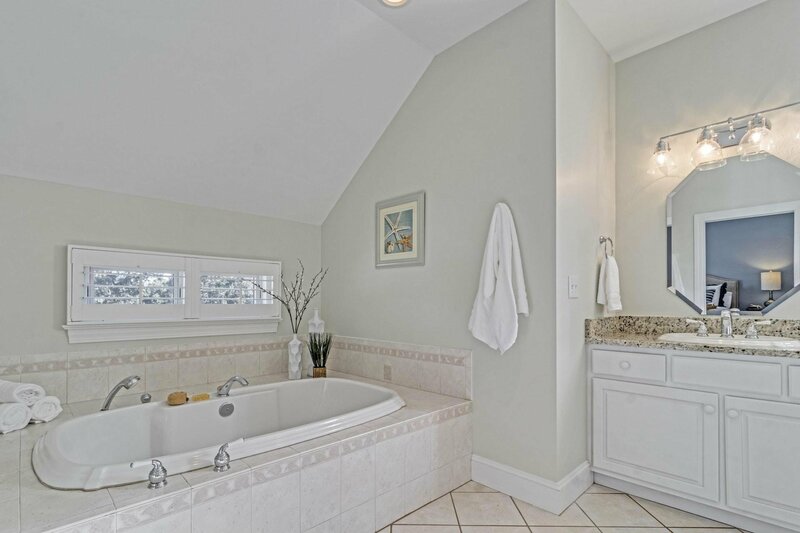 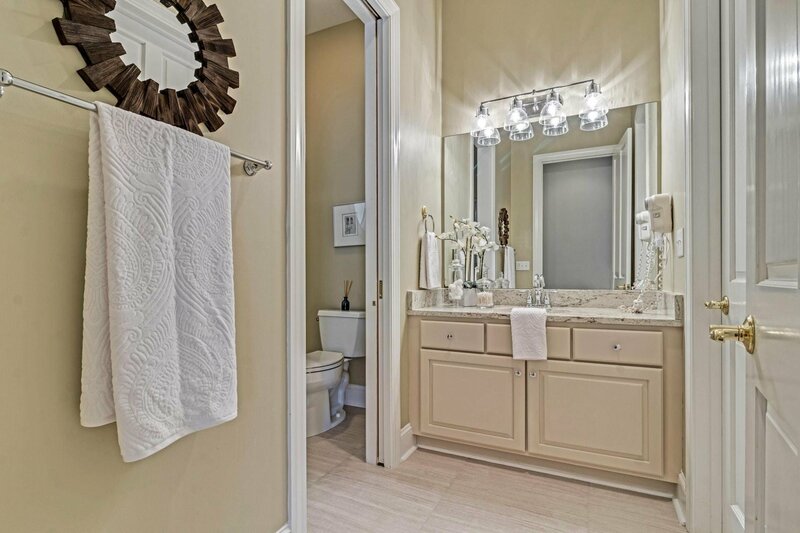 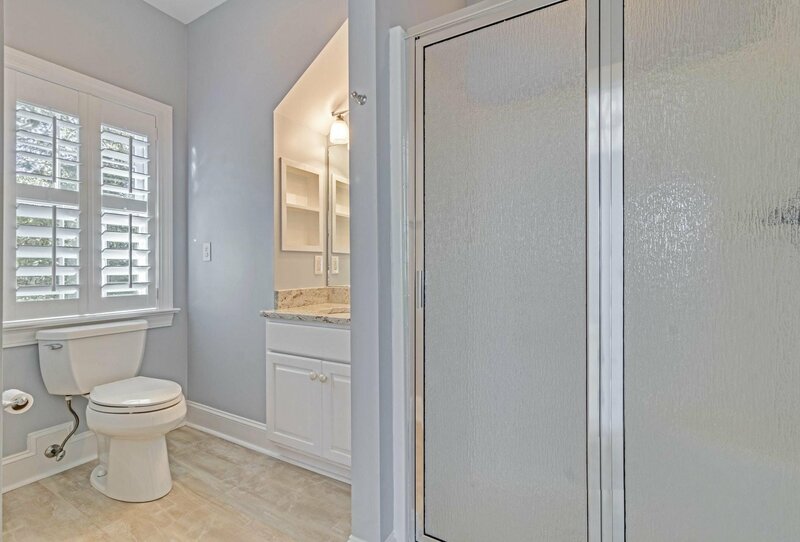 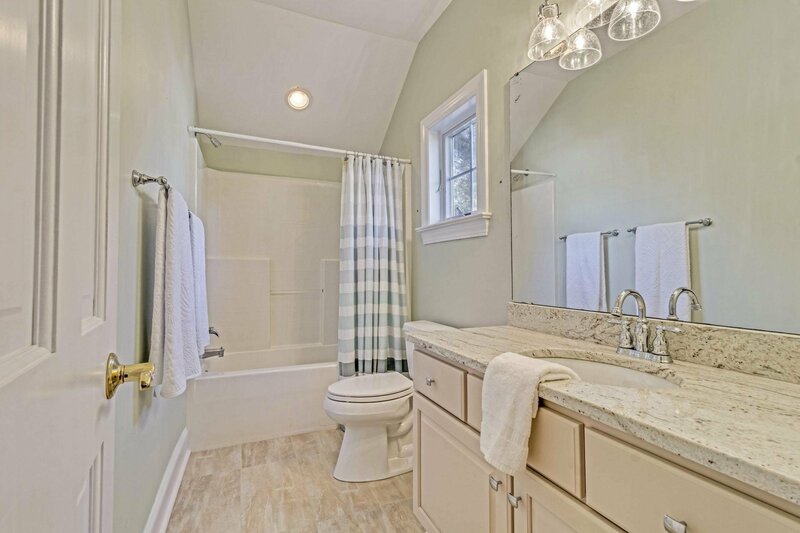 Master bath includes an oversized spa tub and separate tile shower. 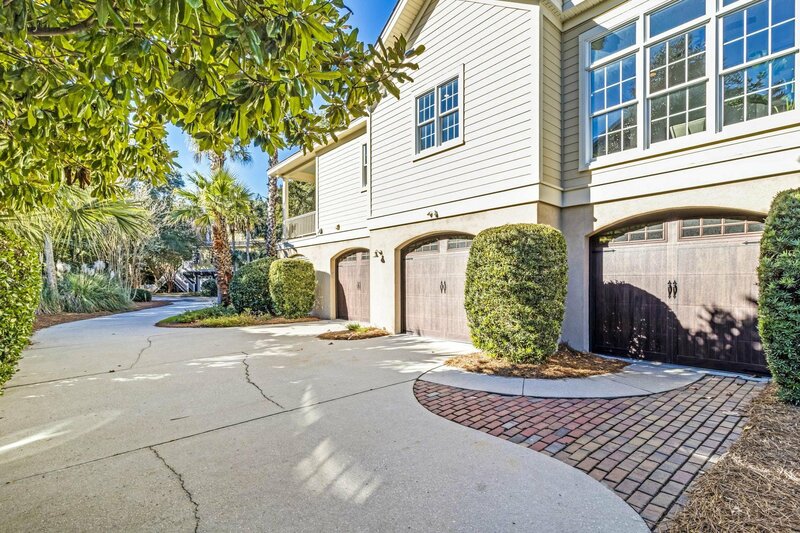 New garage doors have been added to the 4 car garage, plus a separate golf cart garage and outdoor shower. 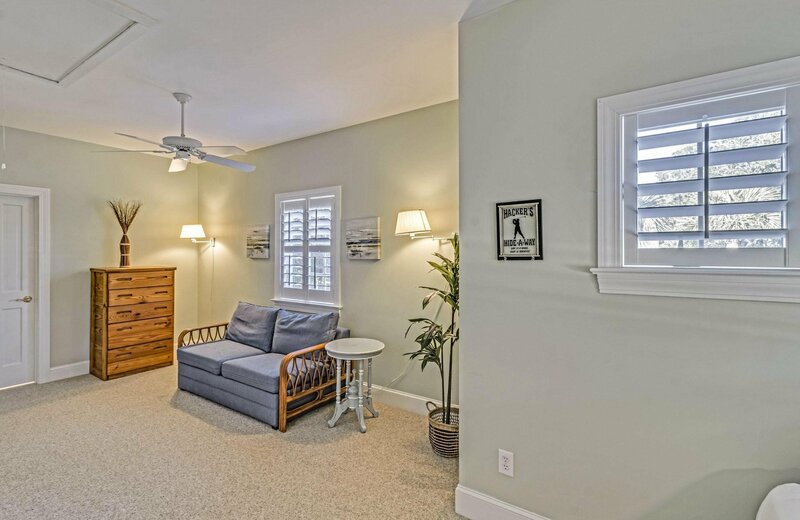 Walk or bike to the beach and all the most popular neighborhood amenities. 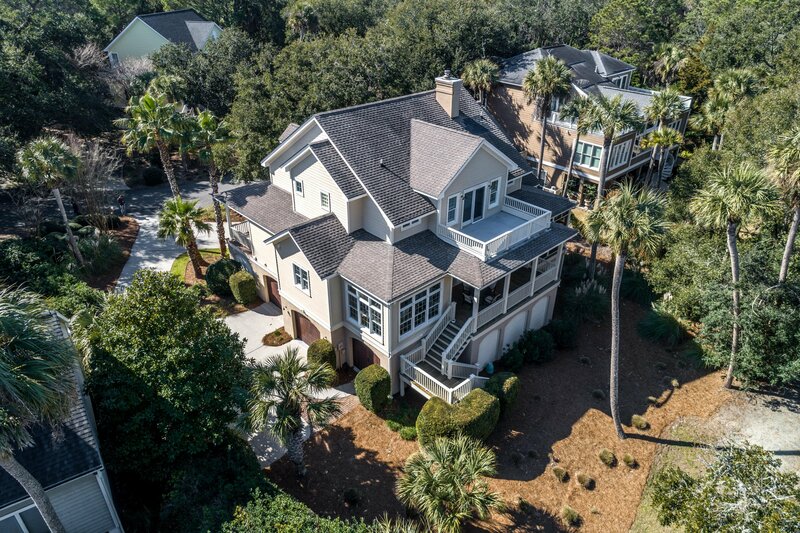 The perfect home in the perfect Isle of Palms setting, Wild Dunes Resort is just a short drive to historic Charleston, South Carolina, named among Conde Nast's Best Travel Destinations in the U.S. and one of the Coolest Small Cities in America by GQ magazine. 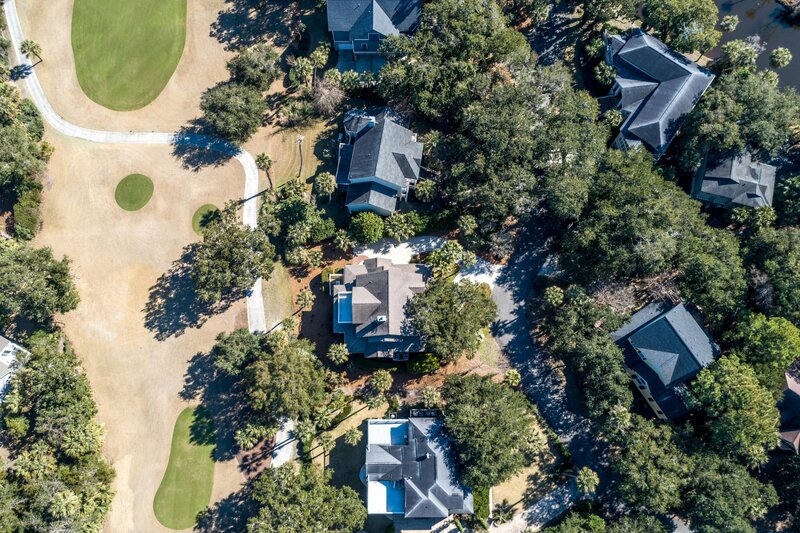 Golf Digest says Wild Dunes Resort is among the "Best in State" for golf in South Carolina, featuring 36 holes of signature golf courses designed by Tom Fazio. 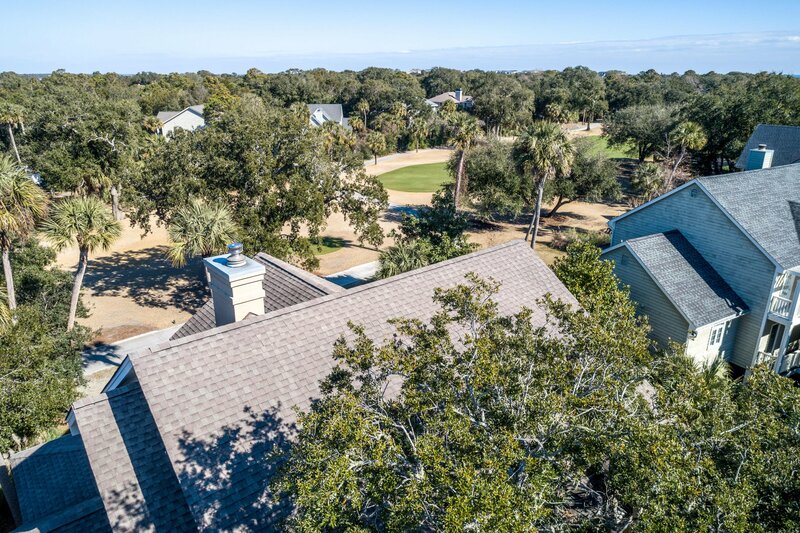 Wild Dunes has also been named a top 10 tennis resort, 10 years running. 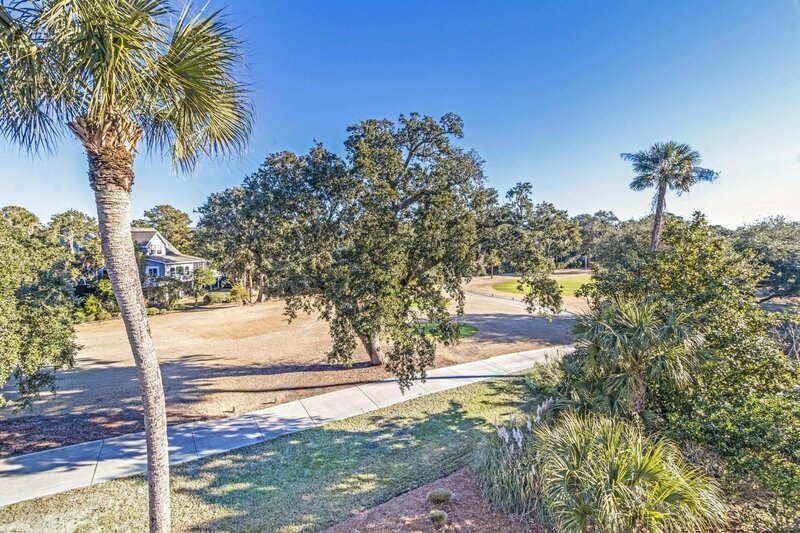 Come make this slice of paradise your own.